Trump signed an executive order Monday prioritizing AI investment in research and development, increased access to federal data, models for that research and preparation of workers to adapt to the AI era, Reuters reported. The executive order stressed the "paramount" importance of US leadership in AI to the country's national security and to shape global evolution of AI to be consistent with US values and priorities. It comes two years after the State Council, China's cabinet, issued a plan that lists AI development as a national strategy and sets the target of China becoming a major center for AI innovation before leading the world in AI technology and applications by 2030. Li Yi, a senior research fellow at the Internet Research Center affiliated to the Shanghai Academy of Social Sciences, told the Global Times that the Trump executive order launches a new US offensive in the high-tech sector that will certainly bring about more containment of its biggest competitor, China. The executive order requested protection for US AI technology from "attempted acquisition by strategic competitors and adversarial nations." Just like the fierce competition in 5G technologies, the US will likely tighten technology and talent exchanges with China, said Chinese analysts. Chinese AI enterprises will face more pressure and a less friendly environment for their business in the US, but those changes will only make them stronger and more resilient, said Li. The executive order brings higher policy risks for US investors and entrepreneurs who do business with Chinese partners, analysts predicted. International academic exchanges may also face stricter scrutiny, especially in the defense sector, they said. The global AI industry might split into two camps if the US drives this style of competition with China, and in the worst-case scenario, the US might start an ideological alliance and warn allies to pick sides, said Li. But that scenario also requires cooperation by the allies, Li noted. China and the US are ahead of the global competition in AI although other countries, such as Japan and Russia are also expressing ambitions for the sector, according to a January 31 report by the UN World Intellectual Property Organization (WIPO). The deployment of AI in the decade ahead will add $15.7 trillion to the global GDP, with China predicted to take $7 trillion and North America $3.7 trillion, The Guardian reported in December, citing data from consulting firm PwC. China's large population, including a large middle class, gives it advantages in having rich data and a huge market for AI applications while the US, the AI industry benchmark setter, has advantages in equipment and technology, Chinese industry insiders noted. 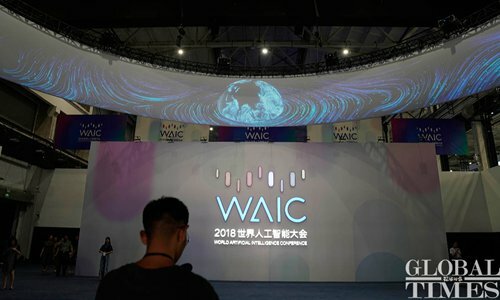 The Trump administration is feeling pressure from China's AI mode, characterized by strong government support and guidance, Chris Dong, an expert from International Data Corp which oversees both Chinese and US technology sectors, told the Global Times on Tuesday. Some US media and scholars fear the US is losing a perceived AI war to China. An opinion piece in Forbes in November suggested US leaders were mostly unaware of the issue and had no strategies to prevent a "historic loss." Not a single political candidate in the US midterm elections could be found to have discussed AI, the AI war, or how the US will likely lose that war, author Steve Andriole noted. "China welcomes such competition, but the US should be warned not to try any tricks or dishonest behavior, such as arresting Chinese," Jin Canrong, associate dean of Renmin University of China's School of International Studies in Beijing, told the Global Times on Tuesday. Even if the US seeks to block China's development, it won't succeed as the huge domestic market of China alone is sufficient to boost a mature AI industry, Jin told the Global Times on Tuesday. Technology should not serve a political agenda nor fall victim to games between world powers, said Dong. The wiser US approach would be to focus on technological collaboration with China, he said. Meanwhile, the influence of the Trump executive order remained unclear as it included no new funding for AI research or a detailed road map. Much of the world's leading research in AI takes place at private US companies such as Google, and Trump's executive order does not lay out a plan to change that, NBC News reported on Monday. China's AI industry output was 18 billion yuan ($2.85 billion) in 2017 and the value of related industries reached 220 billion yuan, according to the Ministry of Industry and Information Technology. AI textbooks were introduced to the curriculum in at least 40 Chinese high schools, and more than 70 universities opened AI-related majors by the end of 2017. AI colleges and research institutions have also been set up in universities like Tsinghua and the University of Science and Technology of China.